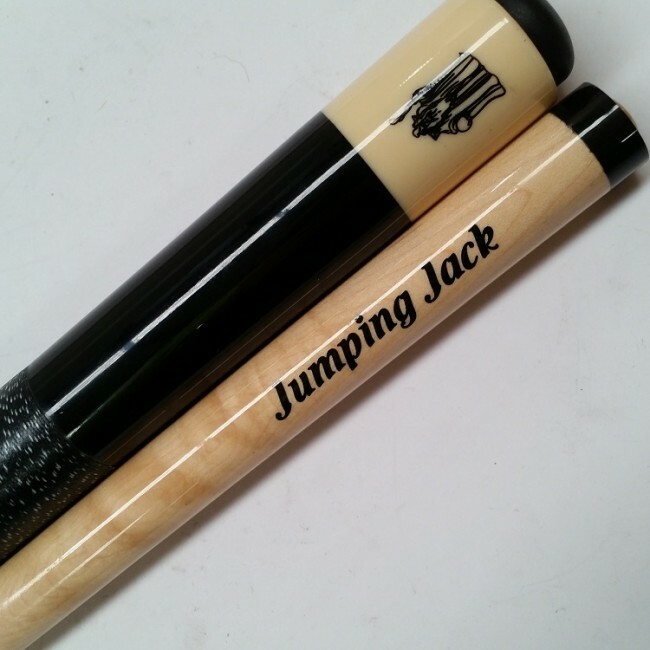 This brand new 2 piece delux maple Jumping Jack cue. 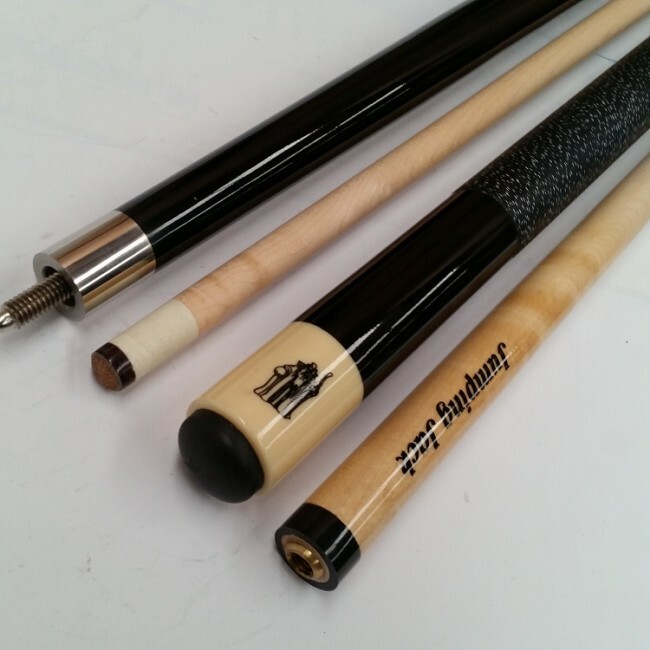 - Quality 12.5 mm stick on Tip. - Weighted for complete and accurate breaking of balls. 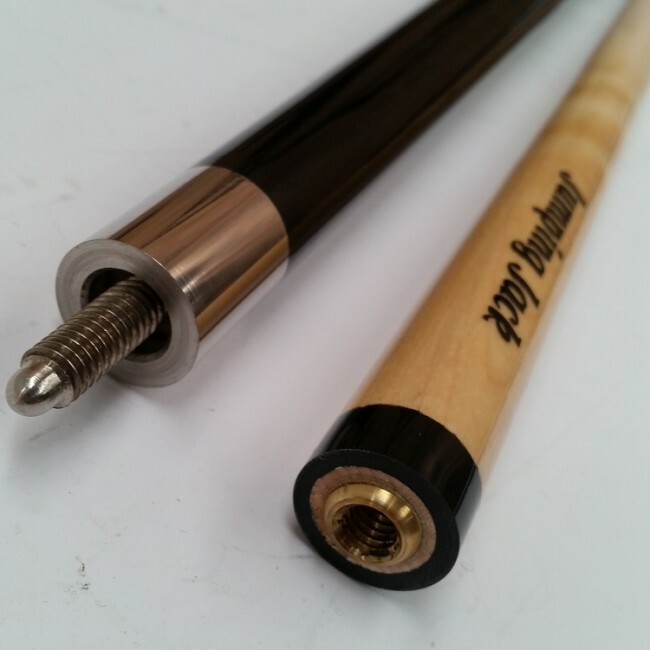 - Silk wraps on handle to improve grip. - Approximate weight - from 18oz. to 20oz.